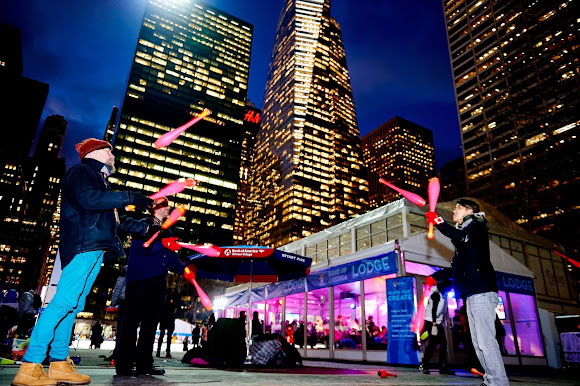 We made memories to last a lifetime during this year's Bank of America Winter Village. Time has flown and we can't believe that there is only one week left in the season! The final day to skate and dine at Winter Village is Sunday, March 1. Thankfully, we'll have the memories forever. 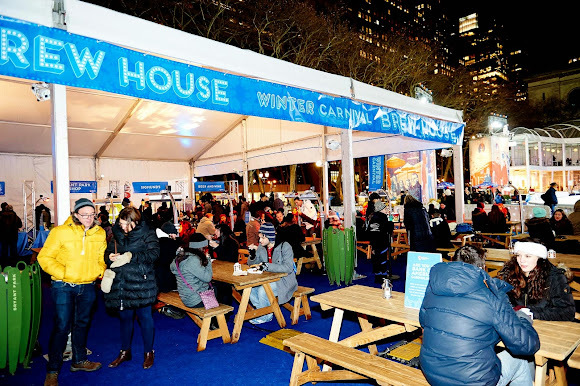 Here is a look back at some of the signature Winter Village events. 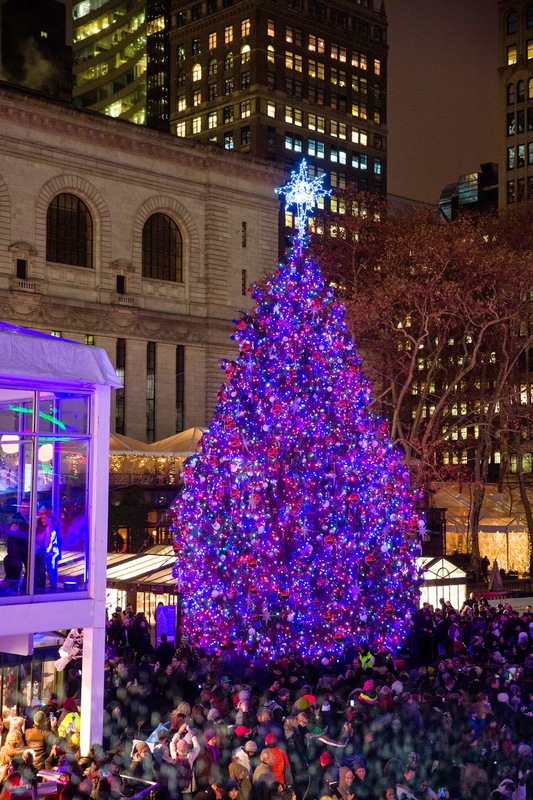 The Winter Village season kicked off in high style with the Tree Lighting. With headliner Ingrid Michaelson and featuring skating performances by Olympians and synchronized skaters, the ceremony drew thousands of guests to the park. Bank of America presented a check in the amount of $6 million to (RED), which aims to end mother-to-child HIV transmission. The spectacular ceremony ended with Santa himself lighting the tree. 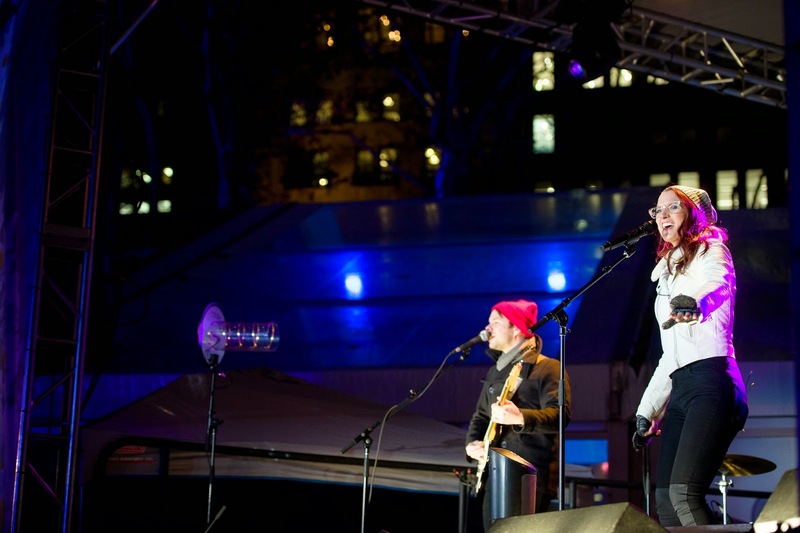 Singer/songwriter Ingrid Michaelson, who performed songs off her new album as well as winter standards. Olympic medalist Evan Lysacek skated beautifully through a fine mist. The Tree Lighting concluded with our 50-foot Norwegian spruce donning over 30,000 LED lights. Santa's Corner was a brand-new addition to the Winter Village lineup. For a week leading up to Christmas, hundreds of park visitors had the opportunity to pose with the man of the hour, Santa. Guests could use their own device to snap a photo, or a park representative snapped a photo with a professional camera. Enjoy Santa's Corner photos on our Flickr page. Winter Carnival gave us something to look forward in the post-holiday season. This late January event featured a silent disco, summer skate, ice golf, hockey shoot outs, curling lessons, a Brew House, and much more. We are already looking forward to next season's Winter Carnival. The Bryant Park jugglers lit up the night with glow-in-the-dark clubs. The Brew House created a German-style beer house, fully stocked with food, drink, long wood tables, and heat lamps. 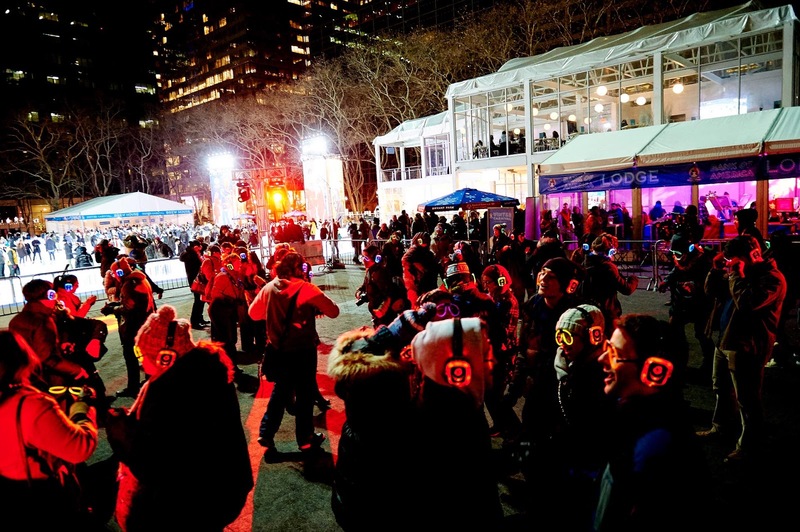 The silent disco capped off the last evening of Winter Carnival. Over 500 people simultaneously danced to music spun by three different DJs. And don't forget, there is one more signature event to enjoy at Winter Village. 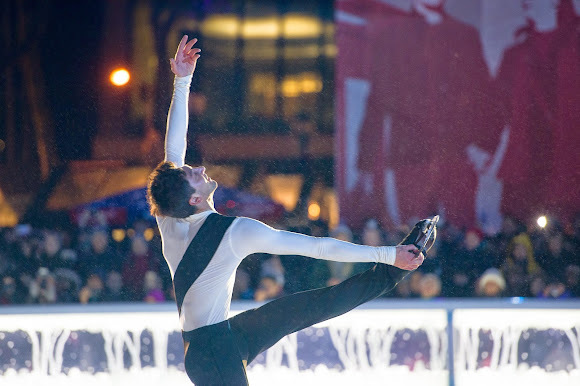 The Special Olympics Skating Showcase, co-hosted by Johnny Weir, is tomorrow at 6pm, and will feature performances from Special Olympians and Olympic medalists alike.